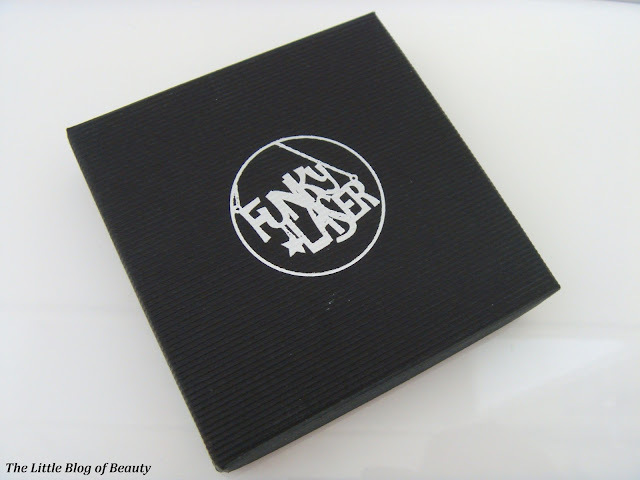 My newest accessories brand discovery is Funky Laser, who offer quirky laser-cut perspex jewellery and accessories, photo props and cake toppers. 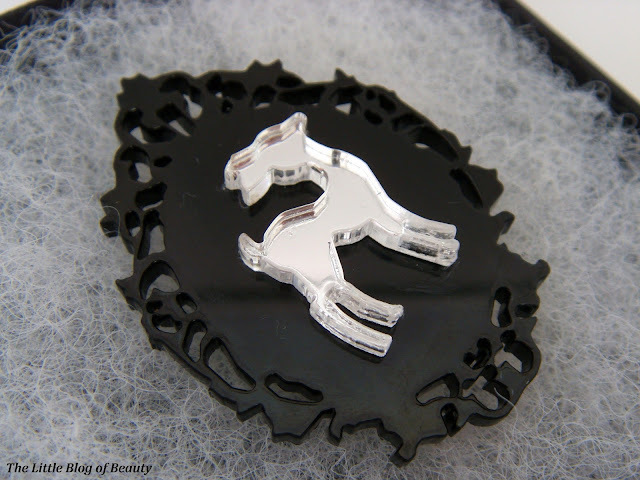 While having a browse round their website I fell in love with this little brooch. If you have a look at the illustration in my sidebar you'll see why. The brooch is approximately 5cm's, so it's big enough that you can see the design clearly but not too big so it's looks a bit too much. The only slight issue I have is with the pin on the back as it appears to be left-handed (is there such thing as left-handed pins?) so I struggle to try and pin it on because it feels awkward. I do like a bit of Victorian or Gothic style influence, including dark colours, lace and the frame design on this brooch and my illustration, so this really is perfect for me. 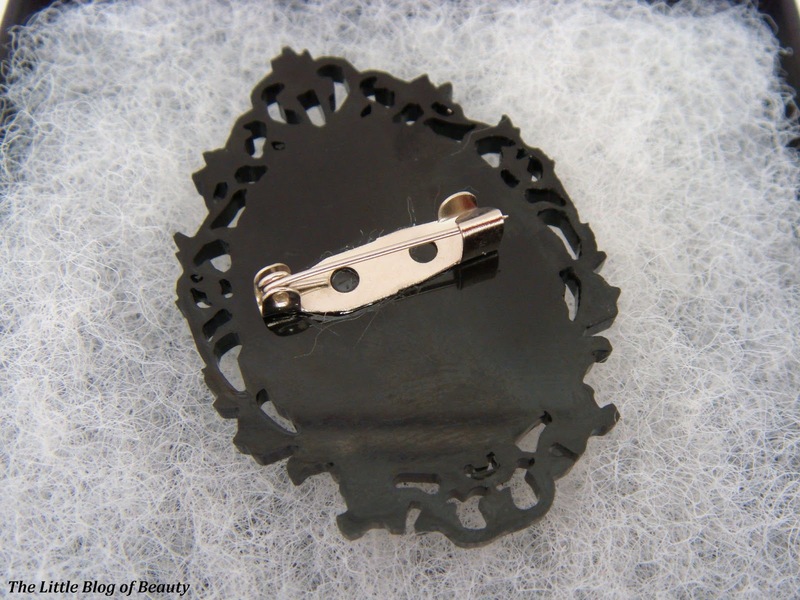 It's available in two different designs, both featuring the black Victorian frame, but the other design features a clear heart. I personally thought the deer worked better with the Victorian theme (I'm not quite sure why!) so that's why I chose the deer rather than the heart. 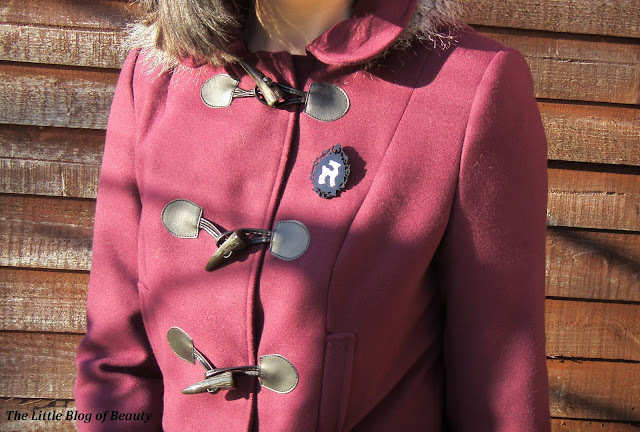 In winter I like to layer up and tend to wear cardigans rather than big thick jumpers and I love making a plain cardigan a bit more interesting with a small flower corsage or some kind of unusual brooch. This looks fab on a cardigan but I then also had the idea that this would look really good against my berry coloured duffle coat with the black background matching the black toggles. 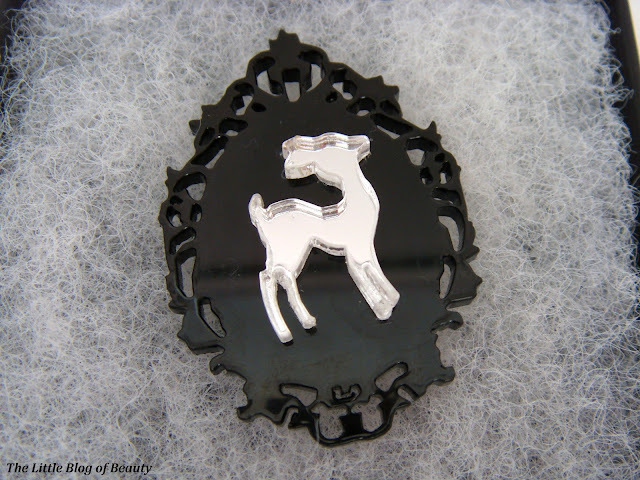 My little deer brooch was just £4.99 and delivery is a flat rate of £3.00. You can take a look at all of their designs over on the Funky Laser website and they will also be at this years Clothes Show Live. I'm really excited to have a press pass for the Clothes Show this year so I'm looking forward to being able to take a look at their designs in person. Is a brooch the sort of accessory you might wear? Aw it's so cute! Makes the perfect addition to any outfit!